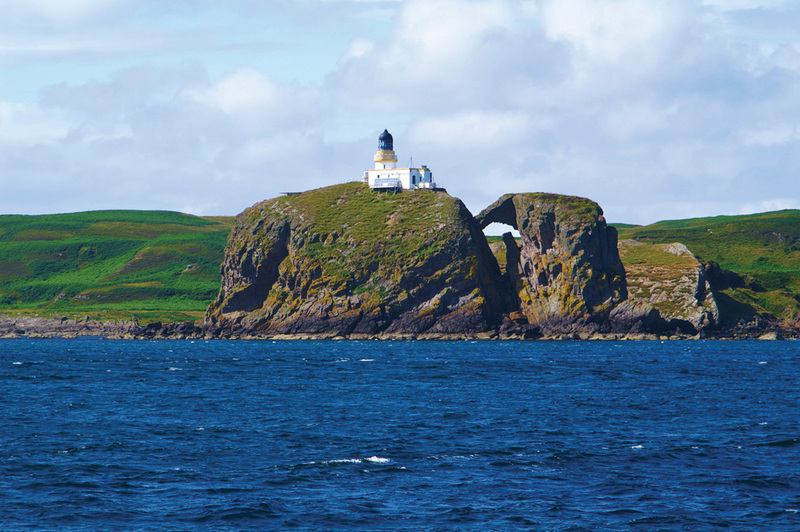 The elegance of Hebridean Princess allows us to sample the beauty of the Clyde islands in comfort with this wonderful four night itinerary that takes us to Britain's smallest cathedral and a privately owned island, designated a Site of Special Scientific Interest. We sailed into Greenock early this morning an embarkation took place at the Ocean Terminal. We wish all our departing guests a very safe onward journey. 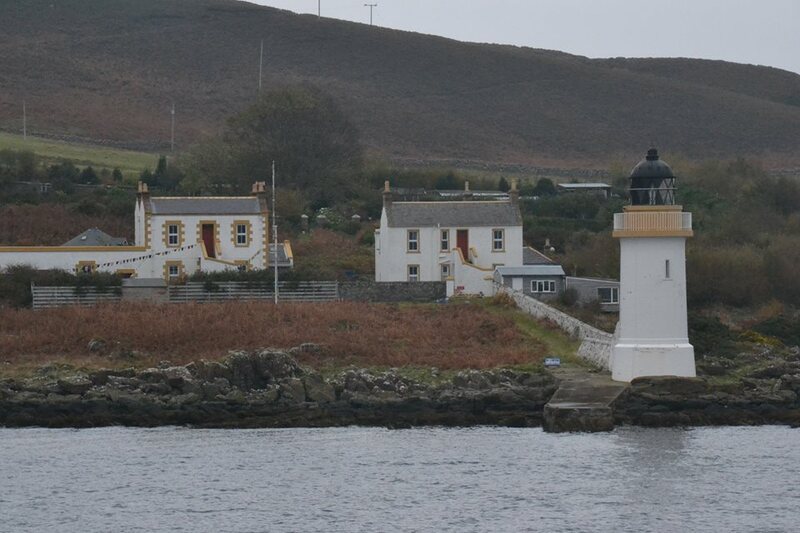 This morning was spent cruising around Sanda Island, a circumnavigation of Ailsa Craig and the Firth of Clyde. 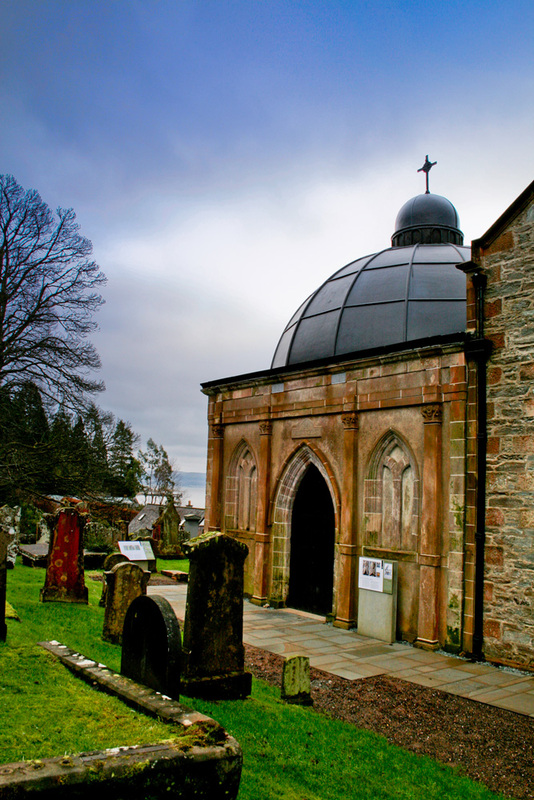 We landed at Holy Loch Marina in late afternoon from where guests visited Historic Kilmun and Argyll Mausoleum. Our guests enjoyed a morning visit to Rothesay Castle whilst alongside at Rothesay, Isle of Bute. During lunch we cruised to Brodick, Isle of Arran for an island tour by coach. 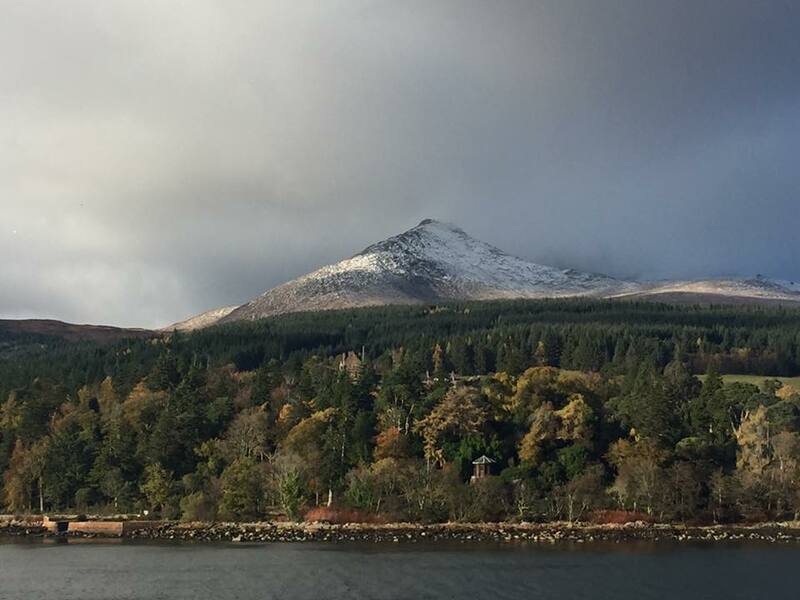 As we cruised guests were afforded stunning views of a snow-capped Goat Fell. We anchored in Campbeltown Loch overnight. Our first port of call was Millport, Great Cumbrae, for a morning visit to Britain's smallest cathedral, the Cathedral of the Isles. 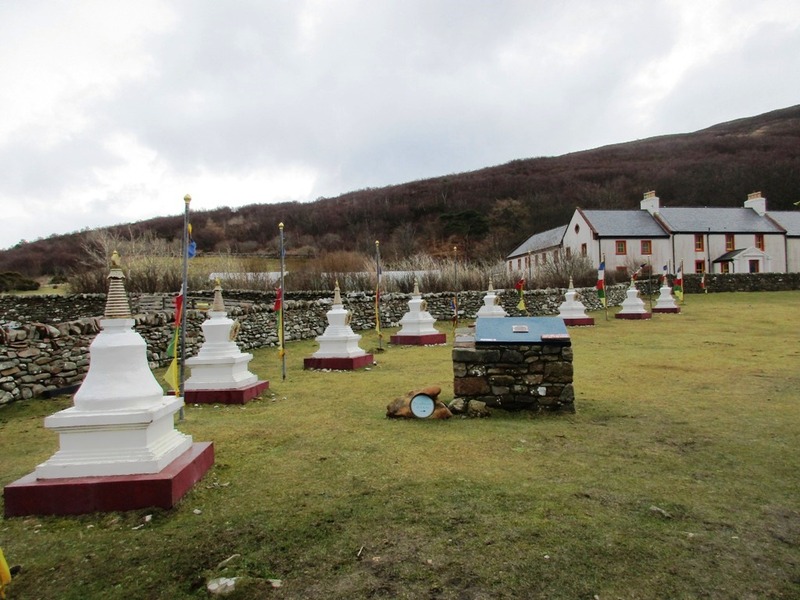 In the afternoon we landed on the Holy Isle for walks and strolls on the island before anchoring overnight again in Rothesay Bay, Isle of Bute. 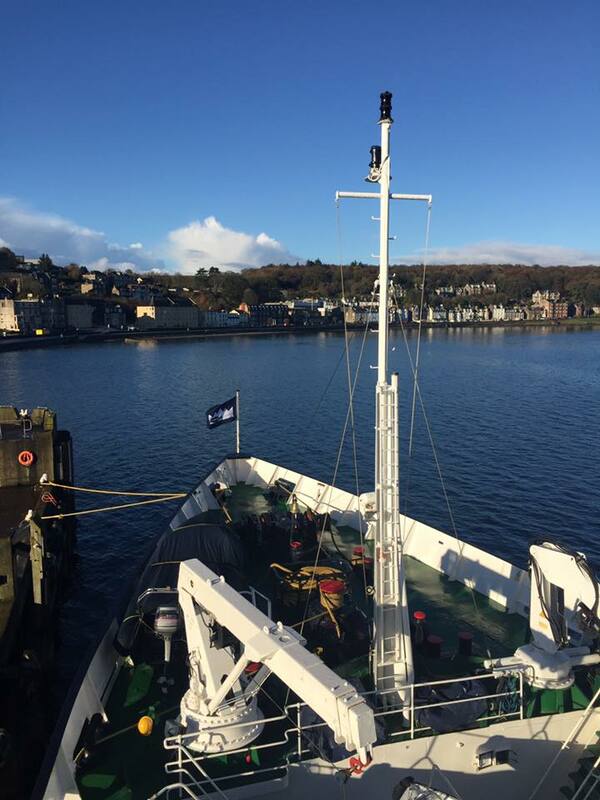 Once embarkation had been completed at the Greenock Ocean Terminal, we set sail for our overnight anchorage in Rothesay Bay.